Lakeview Outdoor Designs Fire Pit Drop-In pans feature thick 18 gauge 304 grade stainless steel pans to handle all the elements for years to come. The pan also has a flush edge to lay flat on the surface. Once installed, just add your choice of fire glass and a lid to protect it, and enjoy! This 30-inch drop-in pan with 304 grade stainless steel H-style burner produces up to 90,000 BTUs and must be installed outdoors in a well ventilated area. This burner has a 1/2-inch gas inlet. 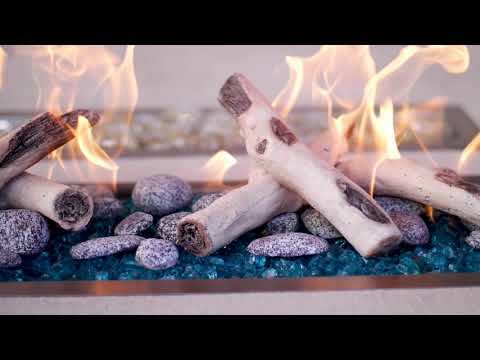 Lakeview Outdoor Designs fire pit burners and pans are a great way to build a custom fire pit. 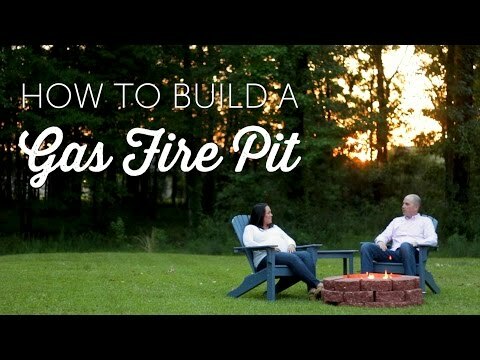 Simply drop the pan into a fully vented fire pit enclosure, connect your natural gas or propane source, then fill with fire glass or lava rocks and turn it on. Each pan is built with heavy-duty 18-gauge 304 stainless steel. The burners are made from a sturdy 19-gauge 304 stainless steel. The drilled port holes on the burner allows for an unimpeded gas flow for an impressive flame that is whistle-free. Holes are drilled in the bottom of the pan to prevent water from damaging the burner. Available in a variety of shapes and sizes such as round, square and rectangle, as well as in drop-in and flat pan styles, and your choice of natural gas or propane. Lakeview Outdoor Designs fire pit burners and pans are covered by a 10-year warranty.